Lady of the Glen are an independent bottler owned by Gregor Hannah, all offerings are cask strength and non chill filtered, and to date I still haven’t had a bottle from and to be honest Gregor has such a way with casks I’d be surprised if I ever did. This 10yo Bourbon Tullibardine offering is taking advanced orders here priced at £60 and with delivery expected mid November, is it worth getting in early? Read on and find out. Bourbon Cask 35 was distilled on the 14th April 2006 and bottled in October 2016. The 10 year old Bourbon Cask produced a natural cask strength of 57.6% alcohol and elected to bottle just 150 bottles, non-chill filtered with no colourings. A limited Edition 150 bottle release – each uniquely glass etched bottle has been numbered. As soon as you nose the glass the bourbon influence from the cask is immediate, with split vanilla pods, double cream and fudge being made in granny’s kitchen. It’s sweet, homely and comforting. Next up are peaches, not fresh, ripe peaches but tinned and in that sticky, sweet syrup and covered in evaporated milk. The evocative sweet, dessert notes continue in the form of an uncooked pear tart tatin, with fresh, cooked pears, and uncooked, buttery shortcrust pastry. If you wish to further reminisce to childhood days, next up is a Saturday trip to the sweetie shop for a quarter of lemon bon-bons, with the lemon powder coating, soft instead of sour, followed by icing sugar sweetness. On returning to glass there are some fresher notes, with cut cucumber and delicate floral notes of pansies and bluebells. There’s an immediate warmth from the alcohol, which comes through with sweet, creamy, hot chocolate notes. It’s like an Irish gourmet hot chocolate, super sweet, and immediately soothing, with tiny gooey marshmallows and freshly whipped cream bringing through some more of the vanilla notes, which instantly calm the palate. The peach from the nose loses the tinned, syrupy notes and becomes more sweet and organic, a nice ripe, just picked that day, peach, juicy and fleshy. The apples and pears become somewhat sharper and is combined with lemon peel and lemon juice, which also pulls through a tangy, slightly spicy edge of fresh green peppers, before a nutty, earthy walnut note pulls through some more heat and plenty of spice from the oak. The vanilla sweetness comes through once again, taking away the heat and the spice of the oak and instead imparts cream soda and high quality vanilla ice cream flavours. The vanilla intermingles with melted milk chocolate and a touch of coconut. It reminds me of “snowballs”, nope, not the ones that you see mostly in winter, usually being thrown by a small child, but the cake, with a soft, buttery pastry base, oodles of marshmallow fluff and then rolled in chocolate and rolled in desiccated coconut. This adds an interesting dimension and takes away from it being a one trick pony. Medium in length of finish, with a warmth that spreads comfortingly down your throat and across your chest, leaving sweet vanilla and milk chocolate kisses in its wake. There is one final hoorah with a spicy kick of cracked black peppercorns, cutting through the vanilla sweetness and adding an interesting dimension. I like that there is so much happening on the nose all once, albeit mainly sweet, but there are discernible notes to pick out. The home baking, sweet shop notes really do make you take a trip back to your childhood and that makes for a really comforting dram. The milk chocolate and the vanilla notes are easily found, soon followed by the fruits with tinned peaches, cooked pears and apples. The nose promises some big sweet flavours instantly whereas in truth I had to work far harder than I expected, which isn’t necessarily a bad thing, just unexpected. 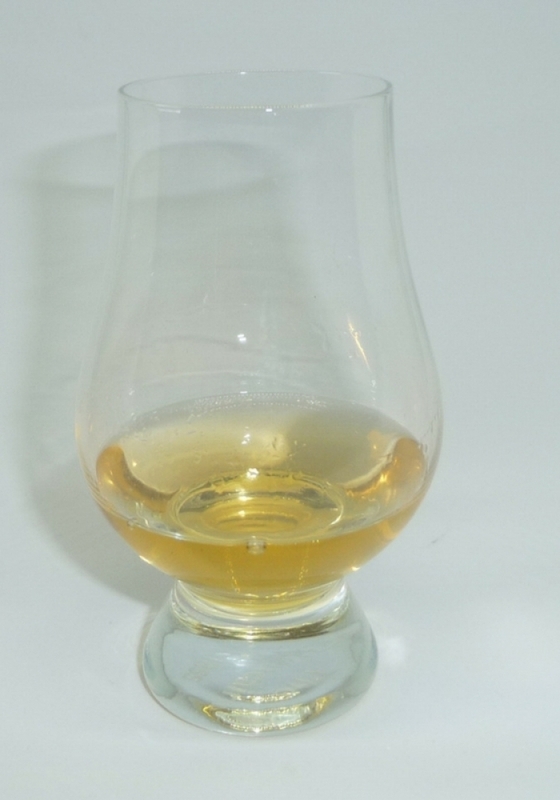 There is undoubtedly an abundance of notes within, that are begging to be unlocked, but they don’t come for free, you will need to give it the time it deserves, even if it does fool you into thinking this will be a simple whisky on the nose. If you do give it that time, however you will not be disappointed, fruits, milk chocolate and sweet vanilla are clearly the stars of the show, but you would be mistaken to think that is all there is to be found. For me the ABV of this one is spot on, there’s enough heat to ensure there is some spicier notes and to really pull through the oak, but not so much it completely takes the sweeter, gentler notes away. Given the way the whisky market is moving, this is a 10yo, single cask, cask strength, non chill filtered whisky for £60, and I’d say that is pretty good value for money. If you have a preference towards the sweeter things in life, or just whisky, this is one to try!